Sacked over a century ago by raiding Orcs from Yashnag’s Kingdom, the fort known as Faldar’s Tooth has been left to decay ever since by the Jarls of Riften, who have had no need, or no funds, to rebuild it. Faldar’s Tooth delve is located in central area of The Rift. Nearest wayshrine is Honrich Tower which is a short distance to the southwest. It is one of the larger delves and consists of two “loops”. Overall, a decent place to find crafting materials, especially provisioning items. 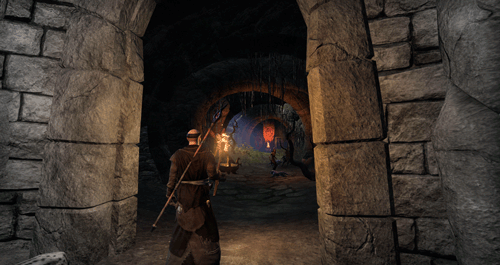 The following is BenevolentBowD’s scouting report for the catacombs known to as the Shroud Hearth Barrow. 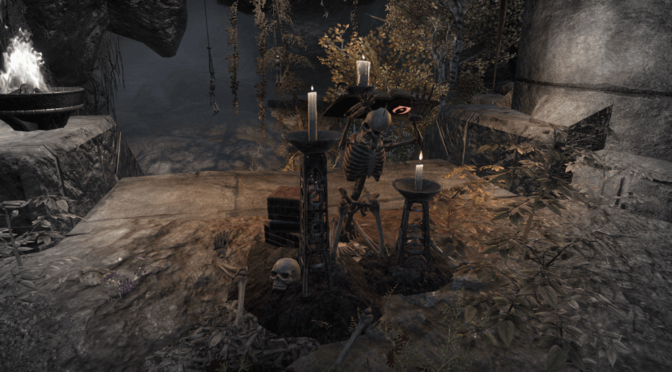 The Shroud Hearth Barrow is situated within the Nord settlement known as Ivarstead. Nearest wayshrine is Geirmund Hall Wayshrine.